More than two-thirds of Canada's biodiversity is made up of species that occur within the country's borders only at the very northern edge of their range. Biologists have long debated how much effort should be dedicated to conserving these "edge populations." One argument in their favour is that they may be especially well suited to lead northward range shifts for their species as the climate warms. 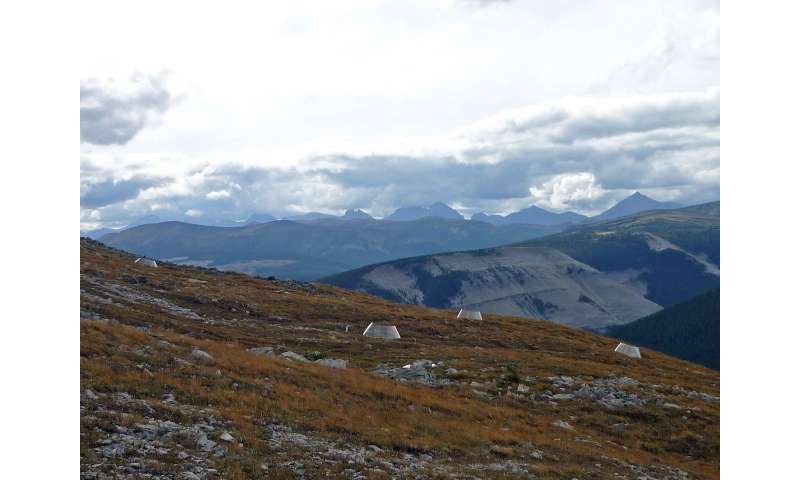 In a three-year experiment spanning 1,200 metres of elevation in Alberta's Rocky Mountains, the researchers transplanted more than 20 000 seeds among elevations to see whether plants found the highest up the mountains were best suited to colonize even higher elevations. To test whether cool summers prevent the species from growing higher up the slopes, they warmed the air around some experimental plants by enclosing them in plastic cones that act like mini-greenhouses. 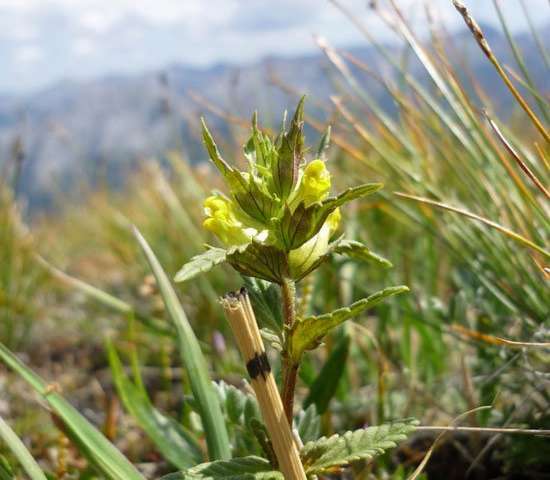 Their findings, recently published in Ecology Letters, show that cool summers currently limit yellow rattle's distribution, preventing it from growing at higher elevations. Plants from the species' highest range edge have adapted to high-elevation summers by flowering earlier, so can make seeds where plants from lower elevations fail. The experiments also yielded a surprising result: A high-elevation 'super edge population' from a nearby mountain outperformed all other populations in natural and warmed plots both at and above the species high-elevation range edge. So if this population has such great genes, why haven't those super genes spread to other high-elevation populations that are only a kilometer away? Researchers think this is an example of winning genotypes getting trapped in isolated edge populations. If so, facilitating gene flow among edge populations might be a way to help them cope with environmental change. Like most intensive experiments, this one focused on a single species. "Our results are important not because they predict what other species will do, but because they are the first to show unexpected patterns that we as biologists need to start considering," Hargreaves says. Three years of mountain fieldwork also produced some memorable moments. The field crew once scrambled up a chair-lift pole to evade a grizzly bear that ambled into the site to munch on berries. On another occasion, the researchers had to shovel snow to plant their last high-elevation sites for the season; then tobogganed downhill to get back to their car just before dark. Yet at a time when fancy lab equipment and computer models increasingly dominate even ecological research, the project is also a reminder there's sometimes no substitute for boots-on-the ground fieldwork. "This study shows that important advances can still come—and sometimes can only come—from well-designed field experiments that require no expensive equipment, but creativity, vision and thousands of people hours," Hargreaves says. "If we want to understand how the natural world works, we need to keep spending time in it."